Their very names--Gettysburg, Waterloo, Stalingrad--evoke images of great triumph and equally great suffering, moments when history seemed to hang in the balance. Considered in relation to each other, such battles--and others of less immediate renown--offer insight into the changing nature of armed combat, advances in technology, shifts in strategy and thought, as well as altered geopolitical landscapes. The most significant military engagements in history define the very nature of war. In his newest book, Richard Overy plumbs over 3,000 years of history, from the Fall of Troy in 1200 BC to the Fall of Baghdad in 2003, to locate the 100 battles that he believes the most momentous. 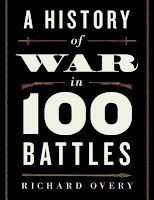 Arranged by themes such as leadership, innovation, deception, and courage under fire, Overy presents engaging essays on each battle that together provide a rich picture of how combat has changed through the ages, as well as highlighting what has remained consistent despite advances in technology. The battles covered here offer a wide geographic sweep, from ancient Greece to China, Constantinople to Moscow, North to South America, providing a picture of the dominant empires across time and context for comparison between various military cultures. From familiar engagements like Thermopylae (480 BC), Verdun (1916), and the Tet Offensive (1968) to lesser-studied battles such as Zama (202 BC), Arsuf (1191), and Navarino Bay (1827), Overy presents the key actors, choices, and contingencies, focusing on those details--sometimes overlooked--that decided the battle. The American victory at the Battle of Midway, for example, was determined by only ten bombs. It was, as Wellington said of Waterloo, a "near run thing." Rather than focusing on the question of victory or defeat, Overy examines what an engagement can tell us on a larger level about the history of warfare itself. New weapons and tactics can have a sudden impact on the outcome of a battle--but so too can leadership, or the effects of a clever deception, or raw courage. 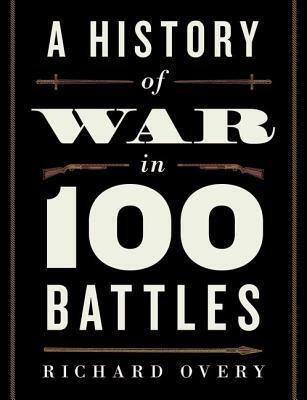 Overy offers a deft and visually captivating look at the engagements that have shaped the course of human history, and changed the face of warfare.